After last weeks wash-out at the Nelson Mandela Challenge, which was reduced to 36-holes, the European Tour heads off to Malelane and the stunning Leopard Creek CC for the Alfred Dunhill Championship. Garth Mulroy 35/1 will be defending the title he won here last season. It’s the eighth year that the tournament will be held at the Gary Player designed course. The Innovative design and landscaping techniques used have ensured Leopard Creek golf course and living areas are naturally protected from animals. Lakes and small streams have been diverted through the development to not only create some stunning views, but to make this track a very strategic one. Much of the water is home to the magnificent creatures for which the river is named. Extensive use of water features and sightings of crocodile, hippo, antelope, buffalo and wild boar are commonplace, either on the course itself or next to the river running alongside several holes. The 552 yard par-five 13th is one of Leopard Creek’s signature holes. The green is right on the edge of the Crocodile River but 32 metres above the level of the water, offering spectacular views up the river and into Kruger Park. After last weeks wash-out and looking over my picks, I think I am going to sit tight this week and stick with the same players. For those who regularly follow my betting guide will not be surprised at my three selections to win as we regularly tip them to do well. First up is four times winner on the European Tour this year Branden Grace 18/1, it’s a bit hard to see past the lad from Pretoria this week. Next up is another Pretoria lad, George Coetzee 14/1. George has not won this year on the European Tour but he has had seven Top 10 finishes, four of those being Top 5 finishes and a runners-up spot in the SA Open Championship three weeks ago, so comes into this week in good form after just missing out on a Top 25 place at the Tour Championship. 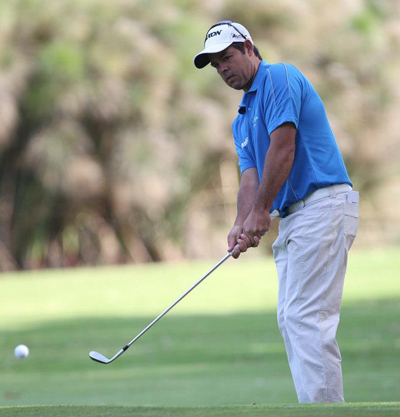 The last of my three to win is another South African Jaco Van Zyl 25/1, who finished in the Top-10 last week with a final round of 57, shows Jaco is in good form. I thought would have broke through to win his first European Tour event this year. He started off with two Top five finishes but never kicked on to challenge for a title. He did have seven Top 25 finishes but I don’t think it’s going to be long before we see this lad picking up a winners cheque. Kristoffer Broberg 80/1 won three times in the space of four weeks on the Challenge Tour last season to take the runners-up spot on the order of merit, playing just seven Challenge Tour events. That should tell you a bit about the lad from Stockholm. He is a big talent so look for him to do well on his debut season on the full European Tour. 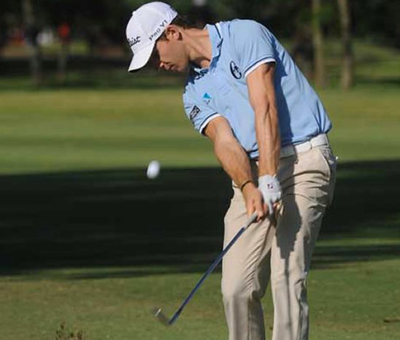 Estanislao Goya 80/1 finished in the Top five at last weeks qualifying school shooting two rounds of 64 along the way. Tano had two solid rounds last week at the Nelson Mandela Challenge and with his final round 62, he should be another player coming into this week in confident mood. There is no doubting the lads ability, he had three Top 15 finishes in seven tournaments at the beginning of last season but just seemed to lose his way. Hopefully securing his playing card for another year and playing some great golf along the way will see him kick on this year. 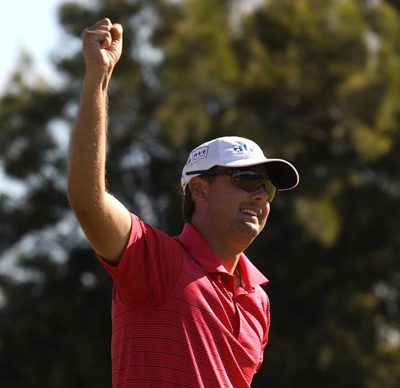 Jake Roos 125/1 will be disappointed in his showing at last weeks Nelson Mandela Challenge, but he has won three times on the Sunshine Tour this year, his last win coming three weeks ago at the Lion of Africa Cape Town Open where he shot a final round 68 to pip Jaco Van Zyl to the trophy. At these odds he has to be worth a couple of quid! !